Hey.. So I wrote a few books and now I'm an official Author! Hey Guys I’m now an Author! One of the greatest ways to improve your business is to lower your cost of acquisition, then exploit the market to bring in new business. The problem is, not many entrepreneurs are also experts in marketing analysis. They stick to their expertise, which they should, however it’s not a complete business model. 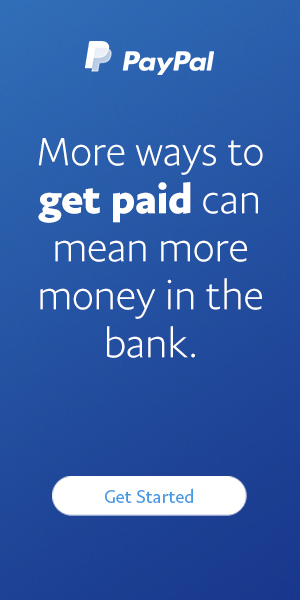 What it means is, you may be leaving money on the table. Are you putting your heart and soul into your business and still not maximizing your return? Are you looking for ways to scale your business quickly and effectively? Are you getting lackluster performance from your current marketing team or campaign? Well, I have some wonderful news for you—I’m an author! And I wrote two excellent, dynamic books you’re not only going to enjoy, but get superior value from. Let’s jump right in. I spent several years driving great results in my business, and while I was successful in many ways, I definitely was doing it the hard way. I didn’t know how to control my sales funnel. I didn’t know how to calculate my acquisition costs. Looking back, even though my business took off, I could have made it a lot simpler! I am proud to announce I’ve published two books which will help you lower costs and bring in more revenue—don’t do it the hard way, learn my from experience! I’ve spent years slaving away at the process of marketing, and I’ve refined both the worst ways to spend money, and how to navigate the current marketing avenues to explode your business, fast! 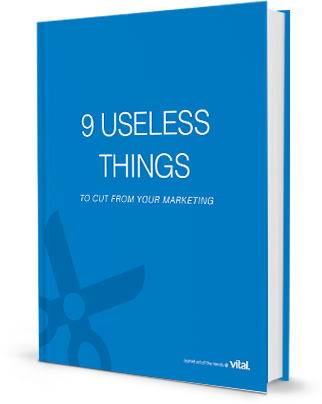 In my first book, “9 Useless Things To Cut From Your Marketing,” I take you step by step through an in depth analysis on how to cut the fat in your marketing budget. Learn to spend money only on the things you know will get you a return on your money! 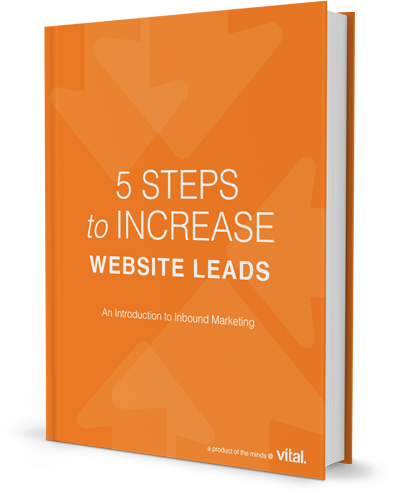 In my second, “5 Steps To Increase Website Leads: An Introduction To Inbound Marketing,” I give you the blueprint to successful marketing campaigns where you can be 100% confident consumers are finding you. The secret to scale is time. With an effective inbound marketing campaign, you free up time so you can work on your business, not in it. When I read the statistics about failing startups, it definitely sparked a big fear of failure. Because of this, I pushed myself and my business to the breaking point to make sure I was not another statistic. What I didn’t stop to analyze was how I was getting myself to where I was. After educating myself on value spending, I learned to control my budget, and not to let it control me. See, there are several things every business absolutely must have. They are systems for infrastructure, inventory (and even this can be neutralized) and inbound marketing. But beyond those, everything else is a waste! I spent money on a lot of silly things that didn’t directly impact my bottom line. They were a waste of time and money. But I want you to bank on my experience, literally, and cut the fat, and spend the difference on successful, inbound marketing. The day I realized I had an extra thousand per month I could reallocate to essentially pay someone else to do the leg work of bringing in new business for me, it was a no brainer! I want you to understand it also. You can be successful. You can achieve massive goals. And you can it much more effectively than you are now. I’ve spent years putting my thoughts and action plans on paper. It would be a waste if I was the only one who got to take advantage of them, so that’s why I’m bringing them to you. These are not only vital to your growth, but I truly believe they are the key to marketing in virtually every industry now. I’m so confident these books will help you and your business, I’m willing to make a few guarantees to you before you even buy them! There’s no fluff. We’ve all read the nonsense guru self help type books who talk in analogies and repetitive dialogue. I would never put my name on a publication which didn’t deliver massive value. There’s a blueprint. I’m not just going to tell you what I did in my own business, I’m going to give you the game plan to take action on your own budget so you can see exactly how much money you’re wasting, and how much more money you can create! You can do it. Nothing I discuss is something you can’t do on your own. You’re not going to need to pay for a bunch of new overhead to manage these systems. They’re simple, they’re straightforward, and I give you all the resources you’ll need to feel confident you can be effective right away. 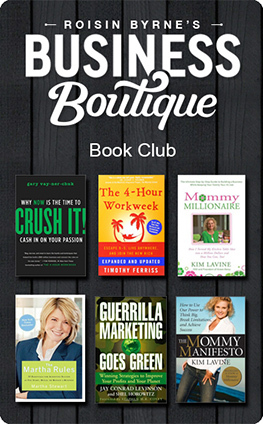 Do me just one favor—when you finish reading these books, let me know how it shaped your business for the future! I wrote these books to help you, and I want nothing more than to know they worked! Wow! You actually did it. So many people talk about writing a book, but you went out there and actually did it. Very nice. I’m sure it’s packed full of some super smart tidbits like this site. Thanks for putting yourself out there! 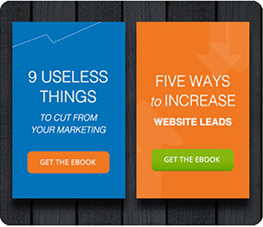 Great I love books on no fluff and I definitely need help with generating leads. This is my biggest problem!